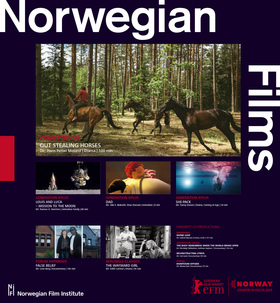 Norway House is also the place where you can meet Norwegian filmmakers, representatives from film commissions, film regions, film funds, the Norwegian Film Institute and the Norwegian Film & TV Producers’ Association - in addition to Norwegian suppliers of services and equipment for international film productions. 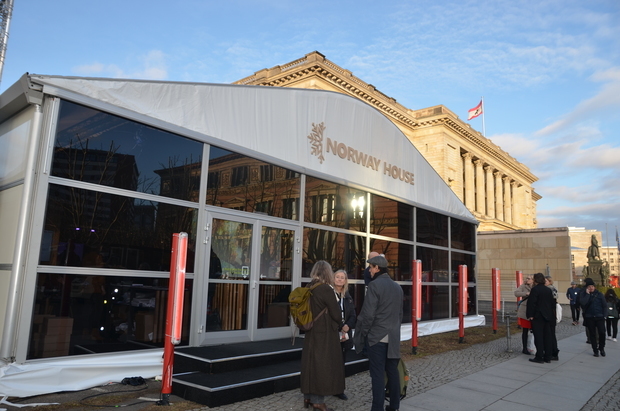 We wish you welcome to Norway House, located next to the Mirror Tent and across the street from the European Film Market in Gropius Bau. Norwegian literary agents meet German producers and Norwegian producers meet German publishers/ agents at Norway House. 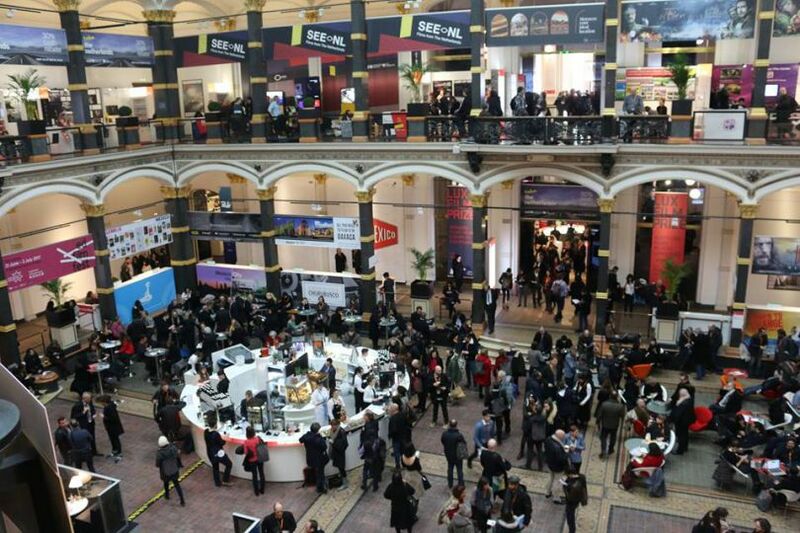 In cooperation with Books at Berlinale. Each director/producer gets 9 minutes to meet each composer, then move on to the next meeting. Meet and greet afterwards. 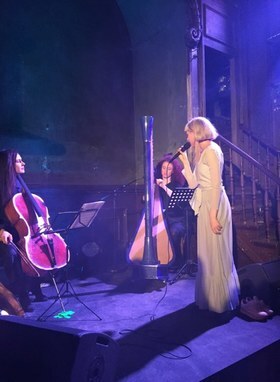 Magic Saturday Night with Norwegian artist Aurora at her mini-concert at Clärchens Ballhaus for the guests at the Norwegian party. 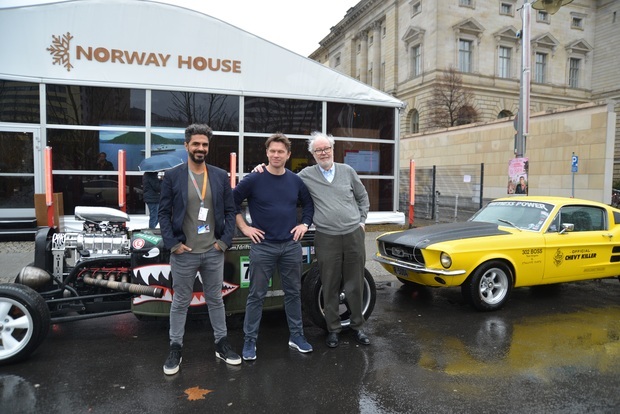 German co-producer Reza Bahar, director Hallvard Bræin and Norwegian producer John M. Jacobsen in front of two of the main cars in Børning 3, A hot rod and "Lille Gul", a beautiful Mustang. Photo: Sigurd Moe Hetland. The Norwegian feature film Børning 3 starts shooting in May, and this time the race goes from Trollstigen in Norway to the famous German motorsport arena Nürburgring. Producer John M. Jacobsen from Filmkameratene and director Hallvard Bræin presented the film in Norway House on Sunday. 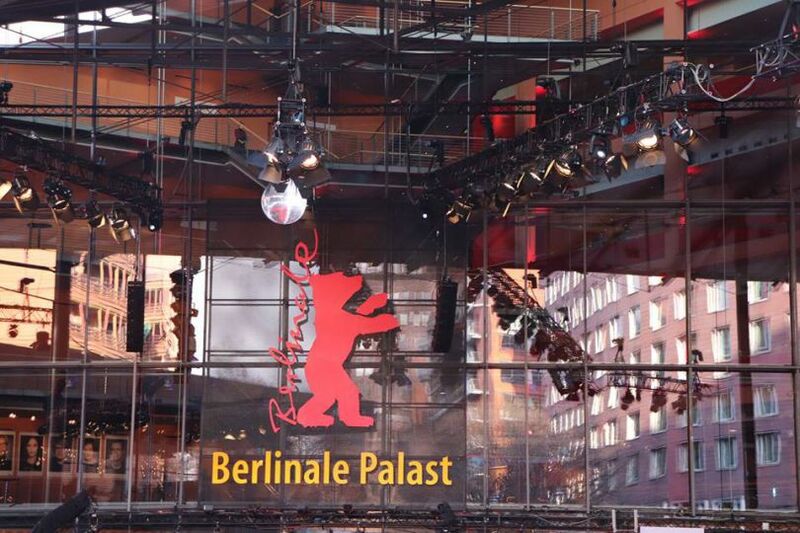 The film has a German co-producer, and starts shooting in May - before the team goes to Germany. 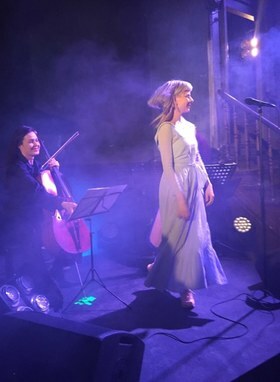 And, was revealed yesterday: The Norwegian artist Wenche Myhre (Die Wenche) plays a role in the film. - This time we really exceed ourselves, Jacobsen says. 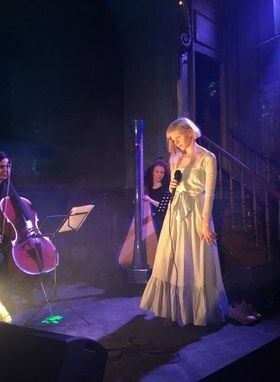 Out Stealing Horses in Compettiion, followed by Louis and Luca - Mission to the Moon, Dad and She-Pack in Generation KPlus, False Belief in Forum Expanded and The Wayward Girl starring Liv Ullman in Berlinale Classics, four minority co-productions and 14 films at the market. Read more here or visit us at the Scandinavian Office #24 in Gropius Bau.